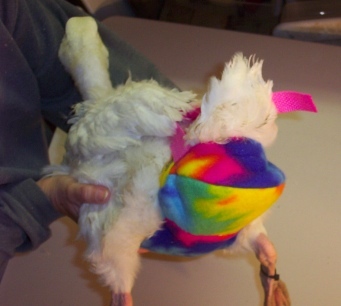 THE GOOSE IN THE PHOTOS HERE IS NOT WEARING THE ITEMS YOU WILL BE RECEIVING IF YOU PURCHASE THIS SET. 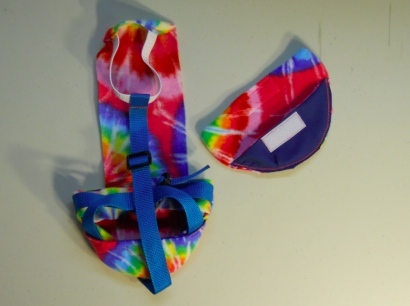 This Goose Diaper Holder Harness is made with Cute Tie Die Print Polar Fleece, backed with a waterproof fabric and it is oh so cute. 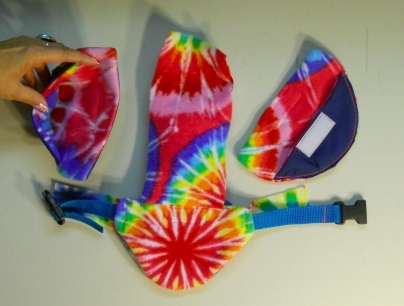 It has a small ring for a light weight leash with a small hook. This Goose Diaper Holder can be lined with a sanitary napkin, a human baby diaper, a folded newspaper page or other folded papers.